runjoey: Beat down in Alabama. Rocket City Marathon 2017. I'm not really sure where to start so I think I'll begin with the event itself by saying that its a great marathon. 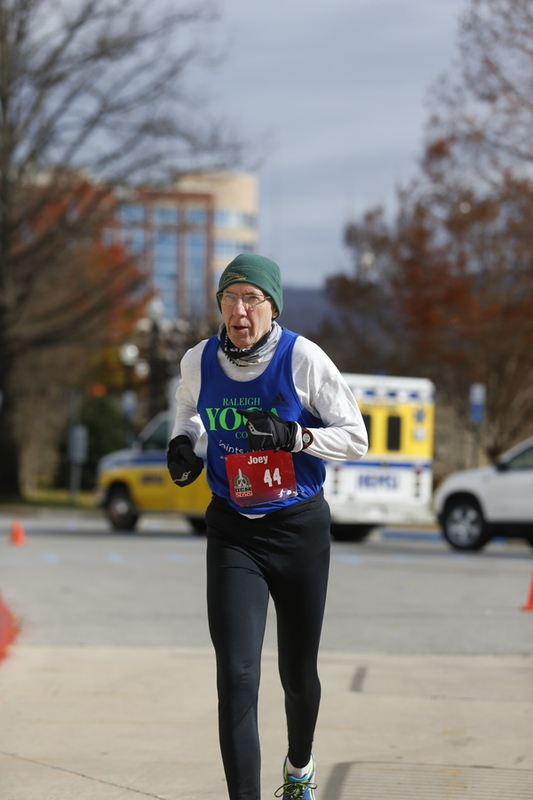 This was the 41st annual and the Huntsville Track Club does a wonderful job with this small city race. The organization is near perfect with good communication, plenty of friendly volunteers and the Hunstville Police and EMS out in full force. 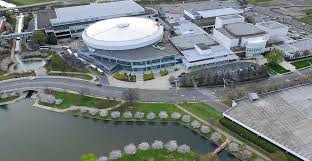 The race starts at the Von Braun Center, a complex of several halls and the Probst Arena which is a 10,000 seat multi use facility and home of the Hunstsville Havoc minor league hockey team. The start is just outside the doors so it was nice to have plenty of rest rooms and stay inside before walking out 10 minutes before the gun, especially on a 25F morning. The course isn't flat but there are no major hills and overall is a pretty fast course. Plenty of aid stations and no way to wander off course. 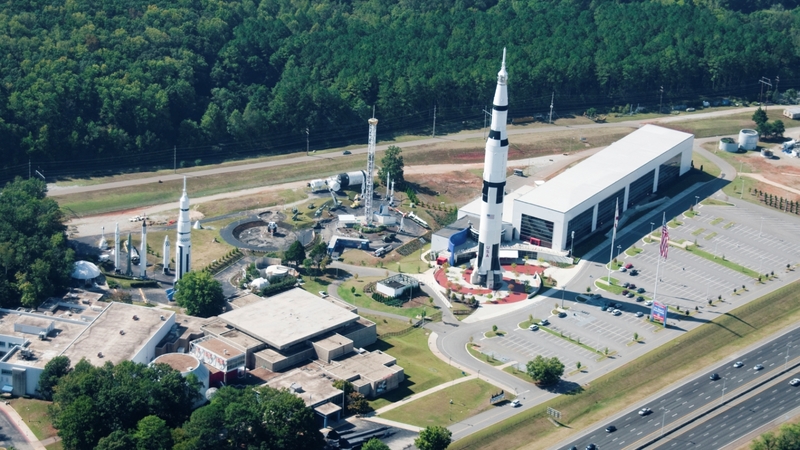 a nice tour of the downtown, residential areas and the highlight is running through the NASA Rocket Center around mile 17 to 19. Very cool running by Saturn V rockets and under a space shuttle( not a functional one) and by lots of other space paraphenalia and aircraft. 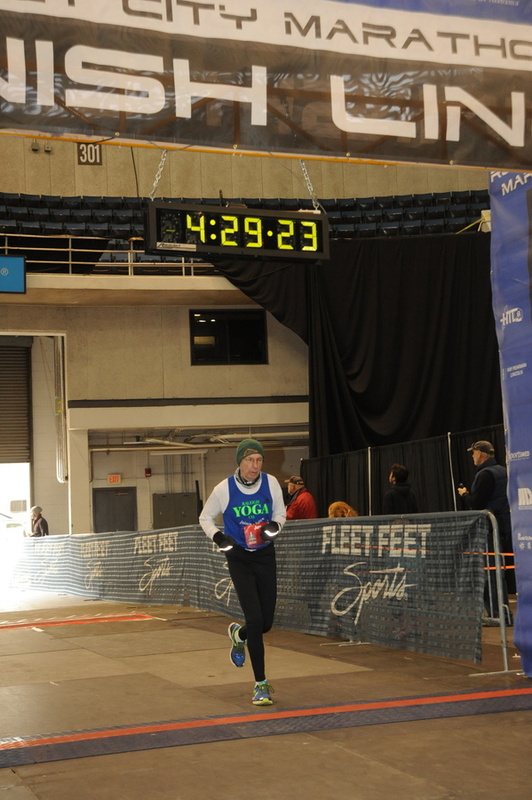 The finish line is inside the VBC so its nice to have a warm place and access to your clothes to change before heading back to the cold outdoors. Ok, I'll spare you a complete blow by blow. But be warned, it got ugly. It was nice and calm and sunny so I was quite comfortable and seemed to be dressed plenty warm for the conditions and by mile 5 I removed my gloves. I was in a nice groove and feeling good, but I should be considering this is my normal easy run pace. Things were going well and I was enjoying the day and very gradually getting my average pace to my goal of sub 3:55. (yes a fantasy) Around mile 10 I noticed the breeze beginning to pick up as I felt a little chillier but the time was perfect at that point. I passed the half with about 45 second cushion on the 3:55 goal. This was by the Von Braun Center so lots of cheers along there as we headed out on the 2nd half of the course. By now the wind was definitely picking up (never got too bad), just enough to make me glad I hadn't tossed the gloves away. And then at mile 15. I was very disappointed to feel the race slipping away, several miles sooner than I had hoped. At first it wasn't too bad, just a short walk break here and there. The biggest hills on the course were around the Rocket Center and the pace and the pace was slowing and the walks longer. 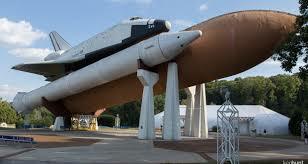 It was fun running by the rockets and passing underneath the shuttle, I just wished I felt better. By mile 18 I was ready to be done. At mile 20 I never wanted to run again. By mile 22 I lost the will to live. But no way I'm quitting. No pain, just dog tired and the muscles feeling completely depleted and achy. Each mile my pace was slower but I still ran as much as I could as 4:10 then 4:15 then 4:20 all faded away as impossibilities. The urge to just walk it in was so strong but I set a new goal of under 4:30 to keep me motivated to go as hard as I could. An arbitrary meaningless number but it was something to cling to and make the suffering manageable. So so happy to see the mile to go mark and the VBC looming ahead. Done. 4:28:47 chip time. That wind was tough for several miles...you did great! It takes more than once to really do optimally on that course.